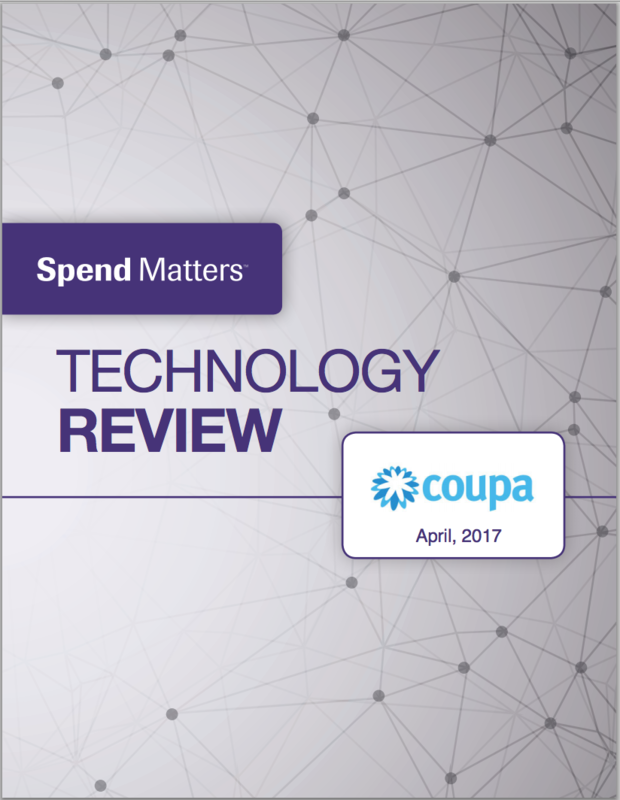 The Spend Matters research team has collectively spent hundreds of hours looking at Coupa's spend management software and talking to partners and customers over the past 12 months. This Spend Matters PRO Vendor Snapshot provides facts and expert analysis to help buying organizations, suppliers and partners seeking complete spend visibility, make informed decisions on Coupa's procure-to-pay (P2P) and broader source-to-contract capabilities, including inventory and travel and expense (T&E) management. Fully integrated unified spend management suite, with peer benchmarking/KPIs, leveraged contracts, and deep configuration above the code-level. Product strategy and platform strengths, including the benefits of the cloud user experience. Ability to support enterprise spend visibility with higher levels of complexity as well as larger SMB and mid-sized organization needs.